With the advancement of technology, almost made our work damn easy. 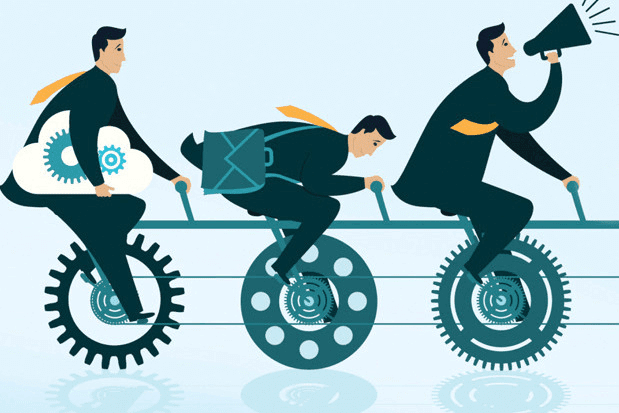 No matter what you are doing, you will find such tools which can make your work easy. The same also applies to Blogging. It’s no more a secret that Blogging is now a business and people are making Millions out of it. It is an art and with the help of tools, we can make this art run and shine. Just for an example, a few years ago, if we had to build links, we type the keyword in the search engine and check on which all site we can make the links but what about now? With the help of link building tools, we can get the list of all the sites, their status, ranking or say all the details about it in just a click. Isn’t Blogging tools have made Blogging easy? There are many such best blogging tools those are making our way easy and we should use those as and when required. To get those on a single page, I have compiled the epic list of best blogging tools to grow your blog and business. Personally, I have used many of these while others are based on the expert’s recommendations. You can use these tools without a second thought and can make your blog run like a business. Here is the list of 120+ Best Blogging Tools for your reference. I have categorized all these tools in different sections so that you can pick the one which you like the most. • WordPress: It is the leading CMS to start with blogging. 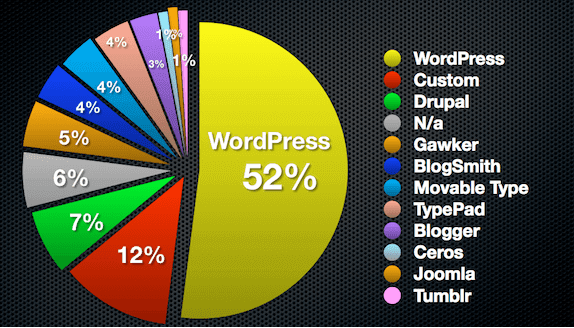 WordPress is very popular as it has over 40k plugins to your required work easily. • Blogger: After WordPress, Blogger is widely used. It is a free platform and has good features available. You can start a blog on Blogger platform in minutes. • Joomla: Joomla is also a leading platform to start blogs and websites. There are several top sites hosted on Joomla. Drupal is also one good alternative of it. • Tumblr: recently it has become one of the top choices of blogger. Especially bloggers use Tumblr to rank their money making sites. You can find high quality expired Tumblr domain and can rank site easily. • Evernote: I use this tool to make quick notes and it’s available via cloud syncing. • Desk: This is a paid tool for Mac OS and is a distraction free writing tool. Very useful for blogger using Mac. • Open Live Writer: This is one of the best tools to write and publish directly from the tool itself. Here once you will sync your blogs in the Open Live Writer, you can write and publish directly. The only this is, it works only for Windows and won’t work on Mac OS. • Blogo: Blogo is a desktop editor where you can do offline writing and directly publish to your WordPress blog from the dashboard. It is again only for Mac. I would recommend you to please check our detailed post of Best Blog Title Generator for details. 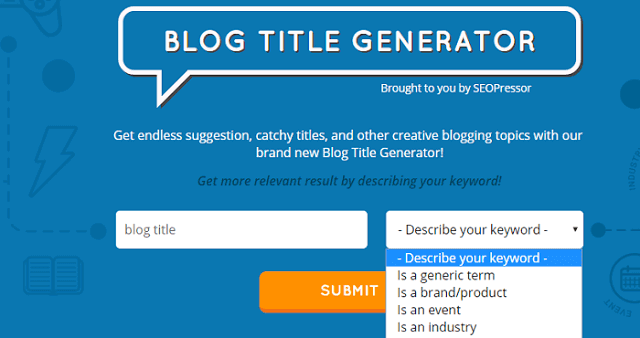 Here is the list of Blog Post title generator. • UpWorthy title generator: This is a viral title generator and will help you a lot. Great for a story like a site. • Headline Analyzer: This is by Coschedule and is one of the best blog post title generator tools I have come across. Here you just paste whatever is in your mind as the title and it will give you the complete analysis as should you use it or not. • Emotional Marketing Value Headline Analyzer: It checks the emotional marketing value of a title. The higher the EMV score is, the better it will perform on social media channels. • TweakBiz title generator: This is another great tool by Tweakbiz and helps you a lot to find the idea for the next blog post title. • Grammarly: One of the best tool available in the market to check grammar today. It is available in both free and paid segment. • AtomicWriter: A good alternative of Grammarly. Again available as free and paid. For advanced checking, you will have to buy this tool. 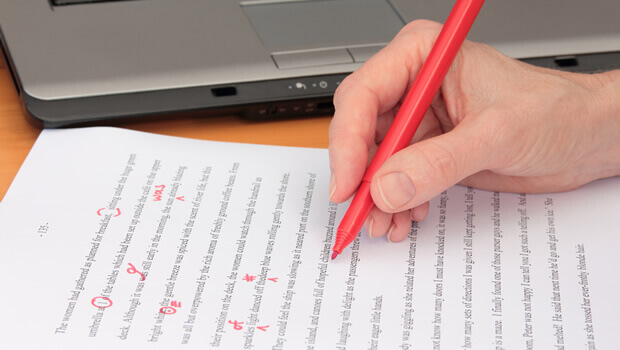 Check our Top Grammarly alternatives to know about other proof-reading tools. • Ginger: Ginger is a free online proofreading tool to check the grammar and spelling and help you to write error free articles for websites and blogs. • Google Images: The best place to find the image for your blog post. But be careful while choosing it especially if you are not getting credit to the owner of the image. They may file DMCA and you will be in huge loss. You can check our article on How to Find Royalty Free Images in Google. • Flickr: Use advanced search to find images with a creative common license. • WP Image Suite: It is a paid WP plugin to find the image. This tools searches over 9 image sources and will give you the wide option to get the images. Also, you won’t have to provide the credit if you are using this plugin. • Canva: It is a graphic design software where you can design images and banners for your site. • Unsplash: It is a great tool to find the HD images. It’s a free source to get high-quality images. • Blog Comments: Get the ideas for the next blog post from the comments done by your readers. • Google Trends: Check the trending topics of the current time or you can also search for the trendy topics based on your keyword. • Ask your readers: You can also send an email to your subscribers and can ask what they want you to write. This is one of the best ways to get content ideas. You can also create a poll on your blog for the same. • Social Media: Post some topics on your social media wall and ask your followers to suggest what they want you to write. • BuzzSumo: You can enter a website or topic and the tool will show you the most engaged topics and content shared on that. • Quora: One of the best Q&A sites where you can get unlimited content ideas. Just enter the keyword in the search box and you will get thousands of topics to write on. • Blog Submission Sites like Kingged: You can also check sites like Kingged where other share their posts and so you can get an idea what to write. • Pocket: One of the most productive tool I am using. You can save the web pages which you want to read later or for reference purpose. You can read it later anytime. • Feedly: Subscribe to any blog feeds or search for your interested topic to discover new blogs to subscribe to. • Google Analytics: The best and free tool when it comes to analytics. Given by Google, it will show you the complete traffic details, their behavior, real-time data, keywords, kind of traffic and much more. It is a must have the tool and must trusted analytics tool you must have. • Jetpack: It is a WP plugin which shows you WordPress.com stats of your WordPress blog. • Similar Web: It is another tool which shows almost correct details like traffic, the source of traffic etc. for your blog. But the features and the number of records are limited in the free plan. • Clicky: It is a web analytics tool in real time. You can also analyze the traffic with Heatmaps and uptime analysis etc. • Paint: A free tool to create and edit images. You can create a basic image with it easily. • Camtasia: Available for both Windows and Mac OS, and let you record screencasts. Offers a one-month free trial. • Image Optim: It is an image compressor tool for Mac users. • Audacity: This is an audio recording tool for all the OS. Useful for podcasters, as you can record and then edit your recordings. • Screen Recorder: A free tool and highly recommended tool to record your screen and voice. • Watermark.ws: I like it very much. You can watermark your images and create images for your blog post. It is both free and paid tool but free version also worth a lot. • TinyPNG: You can compress your PNG images with the help of this tool without losing the quality. Highly recommended for images for the blog post. • Fiverr: Largest $5 marketplace in the world. You can get your normal works like content, images etc. in just $5 from the experts all across the globe. • Freelancer: One of the largest marketplace to get your work done. Just post your requirements and the service providers will bid you. Then you can select the one which you find the best and can get the work done. • Truelancer: It is similar to Freelancer mainly focusing on the Asian market. • oDesk: Great place to hire virtual assistants or freelancers to get a job done. • 99Designs: It is a crowd-sourcing site to get your design related work done. You can find cheap and high-quality designers easily. • Buffer: You can schedule your social media post with the help of this post. Just add your social media accounts with it and schedule your posts. Your social media profile will never be out of content with the help of this app. • Hootsuite: Similar to Buffer app which is available both free and paid. In the free version, you can connect 3 social media accounts. • ClickToTweet: A WP plugin which you can integrate into your posts and make your important terms tweetable. • SocialPilot: A new but useful social sharing plugin. The only drawback is it doesn’t support Google plus group but support Facebook group. • SumoMe: It is a multipurpose tool which you can use for social sharing, email collector and much more. Available as both free and paid. • Filament.io: It is another social media sharing tool which you can add on your blogs. You can also check the analytics on those social media buttons. • Google AdSense: The biggest content based monetization network by Google. The most popular blog monetization tool and the most reliable as well. Depending on the content, it will show you the banner and link ad on your blog and whenever anyone will click on it, you will earn money. • Chitika: It is one of the largest text ad networks. It is being used as an alternative to AdSense and can be used with AdSense as well. • Media.net: Media.net is another reliable ad network but they have some strict rule for approval. If you don’t have high quality and organic traffic, then getting approval would be difficult. • Infolinks: Infolinks offers a different kind of ads and you can earn good money out of it. Approval is very easy. • BlogMint: It helps you monetize your blog and social media account through sponsored post. They will deduct 20% of the amount and will pay you the remaining. Although don’t expect good amount but you can earn initially some amount. • CPA/CPM Networks: There are many other networks through which you can monetize your blog. You can check best CPM ad networks for publishers here. There are much more in this section and I highly recommend you to go through our detailed post on 17+ money making techniques. • ShareASale: It is an affiliate network where you can find the offers from different companies. You can request for approval and once approved you can promote the offer and can earn from it. • Clickbank: Clickbank is another affiliate network where thousands of offers are available to promote. It is mainly famous for digital products. • Commission Junction: Another affiliate offers a marketplace where lots of companies list their affiliate offers and you can promote their offers and earn money. • DreamHost: It is a cheap hosting company but the only issue is they don’t have cPanel in shared hosting, you will also get free domain name with the hosting packages. You can check DreamHost Review here. • UniHost: UniHost is one of the best reliable hosting company providing wide ranges of hosting solutions. You can check the UniHost Review here. • MilesWeb: MilesWeb is a cheap hosting provider. You can get VPS at very low price at MilesWeb. You can check MilesWeb review here. • BlueHost: BlueHost is one of the most famous WP Hosting. You will get a free domain with ever packages. Check BlueHost review here. • Hostgator: Hostgator is one of the oldest hosting and domain company. We recommend Hostgator for the niche site. You can buy their single hosting plan and that will work well. • FileZilla: It is a desktop FTP tool and is available for all kind of OS. It is a free software and you can use this to connect to your hosting for file transfer smoothly. • Wistia: Wistia is a video hosting site and if you own a video blog or want to host your video on some third party agent, Wistia can be your destination. It is free to host up to 5 videos. • DropBox: A file hosting software that offers cloud storage, file synchronization, personal cloud, and client software. Dropbox allows users to create a special folder on their computers, which Dropbox then synchronizes so that it appears to be the same folder (with the same contents) regardless of which device is used to view it. • OneDrive: It is a file hosting platform by Microsoft that allows users to sync files and later access them from a web browser or mobile device. • ZippyShare: This is a free file hosting and sharing platform which allows you to host any file up to 200MB. Even you don’t have to sign up to host the files. • Google Drive: It is by our own Google where you can store all kind of files. I personally use this for my use as well. Drive starts you with 15 GB of free Google online storage, so you can keep photos, stories, designs, drawings, recordings, videos – anything. • BuzzStream: It is an outreach tool for bloggers. Although not a free tool but worth for serious bloggers. It is a great tool for Digital PR, Link Builders, and content promotions. • Inbound: I personally like this platform a lot. You can share your content here, comment on others and upvote. Depending on upvote, the ranking on the platform increases. It is a community-driven site to discover the best of inbound marketing content. • SumoMe: It is a multi-purpose tool which will help you a lot in blogging and marketing. Their heat map, content analytics, and email marketing tools are worth trying. • Kingged: Kingged is another community-driven site where you can share your content and read others. • BizSugar: It is a place to share small business news and tips. You can submit your article and others will vote and if you will get more votes, your article will come on top and you will receive hell lot of traffic. • SumoMe: As I said above, SumoMe is a multi-purpose tool and you can use their pop-ups to collect the email id of your visitors. Its free version is also enough for normal use. • MailChimp: I like MailChimp a lot. It has some great email subscription design and is free for normal use as well. • MailMunch: If you will mix mail munch with MailChimp, it becomes a perfect email marketing tool. You can store the emails collected by MailChimp and create campaigns to send emails to your subscribers. • FeedBurner: A free tool by Google and is recommended for beginners to use. Very effective to start with, if customized properly. • GetResponse: Another popular email marketing tool in blogger community which also offers to host webinars. • OptimizePress: You can create a landing page, sales page and membership portal with the help of OptimizePress. It also provides a plugin for WP users. It’s not a free tool and starts at $97. • Wix: Wix is a great drag and drops tool to create any site, landing page and much more. You can also host those on Wix platform as well. • LeadPage: Another great tool to create landing and sales pages. They have a large number of designs and features. The price starts at $25 per month. • Weebly: You can create websites, store, blogs and much more with Weebly. It is a fermium tool and you can host your site on their platform as well. • GoDaddy: Their $1 .com are very popular but just for new users. GoDaddy is one of the most popular platforms for domain name registration. • BigRock: You will find some offers every day for the domain name registration here. A good place to register domain name. • 1and1: Where you can find a TLD at $0.99? Yes, that can be done on 1and1. You can check the cheap & best domain name registrar and also, check how to register a good domain name now! • MyThemeShop: A large collection of professional, amazingly looking themes for all the platforms. You will like all their themes for sure. These are cheap and with great features. • TeslaThemes: A good name coming in the market mainly known for good affiliate benefits and some nice designs. • ThemeForest: A marketplace for themes and plugins where you can find unlimited themes for your use. If you are designers, you can also submit and earn money from your designs with the help of ThemeForest platform. • PayPal: The #1 platform for payment transfer all across the geographic location. Although they deduct around ~4.5% of the amount as a transactional charge but is very reliable and provides excellent support as well. • Perfect Money: If PayPal is not available (some location) then Perfect Money can be the best alternative but you will need an exchanger to get that in your PayPal account and so all together transnational charge become more. • Payoneer: It is giving a tough competition to PayPal but still PayPal is a leader. If you are doing transaction around $100, Payoneer can be worth to try as the cost will become low. • Mail Track: A free and premium tool which will help you to know who has read your email. Recommended for sales emails to track. • Sidekick: It is by HubSpot and is another tool to track the email delivery. You can track up to 200 emails in the free plan. • Ahrefs: A leading SEO tool helping you to check backlinks and know the data of your competitors. You can check the position of keywords, explore the content with this tool. They provide 14 days of free trial. • Web CEO: An all in one tool for bloggers and internet marketers where you can analyze Keywords, social media, keyword ranking and much more. • Moz: Backlinks and competitor’s analysis tool but is expensive and is mainly recommended for companies and for those who has good teams. • SEMrush: Another market leader in SEO and analytics tool. You can do keyword research and check the details about any site like keywords, indexed pages, backlinks etc. • Shorte.st: You can short the long URL with the help of shorte.st and also earn from it. Whenever anyone will click on your shortened URL, you will get money. • Bit.ly: A very popular tool to short the URL but won’t allow you to earn any money as they don't show any ad. • goo.gl: This URL shortening tool is from Google and you can shorten the URL and check the analytics. • Google AdWords: A free and reliable tool to research the keyword by Google. Although it provides more accurate data for advertisers. • SEMrush: A good tool and more effective to research the keywords. You will come to know about the competition. • LongTailPro: Desktop based (Windows & Mac) keyword research tool. Perfect for those who have little experience with keyword research. • Keywordtool.io: Another good tool to research a keyword on which you can rank for. • Evernote: You can take quick note here and is synced with the cloud. • Pocket: You can save any article offline in this app and read whenever you have time. Available for both desktop as well as mobile. A good tool to increase productivity. I have over 100+ articles saved in this app. • Google Calendar: To manage your meetings and important dates. • To Do List: You can make a list of works those needs to be done. It will show you reminders as well. Once you have done that work, simply mark it done. • Trello: It is a card-based task management tool. Good when you are working with your team. All can save their task and others can check and work. • Toggl: It is a time tracker and employee timesheet software. For a team of 5 people, it is free and you can generate reports as well. • UptimeRobot: To check the uptime of your site. Whenever any downtime will occur, you will get notified. Their bot checks every 5 minutes. • Awesome Screenshot: To take the screenshot and upload and share. It is a browser extension and will help a lot. 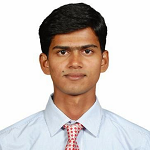 • Google Webmaster: To index your links in Google search engine and check the health of your sites. • Bing Webmaster: To index your site in Bing search engine and manage your site. • Skype: For online meetings. It is free for both audio and video calls. • Yoast SEO: A WP plugin which analyzes your content and tells if it is optimized for the keyword you are targeting. • Statista: To get the data and graph which will help you write data driven articles easily. Over to You- What's your Favorite? These were some of the best Blogging tools to grow your blog and business. I am using some of these personally while others are recommended by the pros of the industry. I would love to know which all Blogging tools you are using? Do share the list in comments and help me to make this Best Blogging Tools list a Mega one! Note: If you are from any company and want to list your product in any of these sections, please email us with the details at TricksRoad@Gmail.com.